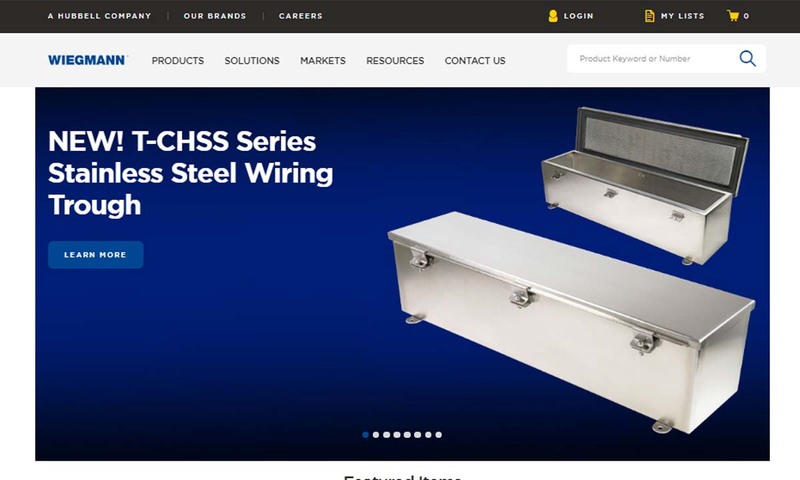 A reliable source for Electronic Enclosures information and a resource for accessing leading Electronic Enclosures and suppliers. Electronic enclosures, also known as electronic cabinets or electronic enclosure boxes, are boxes that house electrical systems and wiring, like conduits, switches, audio equipment, computer servers and general connections, meant to protect them from damage, contaminants, and interference. They protect their contents from pollutants, moisture, electromagnetic interference and the like. You can think of them like super high-quality tents, shields, instrument cabinets, or jackets. Electronic enclosures are a staple in most manufacturing and industrial settings because of the sensitivity and value of their electrical equipment. They protect electronic products from EMI (electromagnetic interference) and RFI (radio-frequency interference). Also, they physically shield products and machine parts from dust, debris, water and moisture, abrasion, and pollutants of all kinds. Electronic Enclosures Electronic enclosures, also known as electronic cabinets or electronic enclosure boxes, are boxes that house electrical systems and wiring, like conduits, switches, audio equipment, computer servers and general connections, meant to protect them from damage, contaminants, and interference. 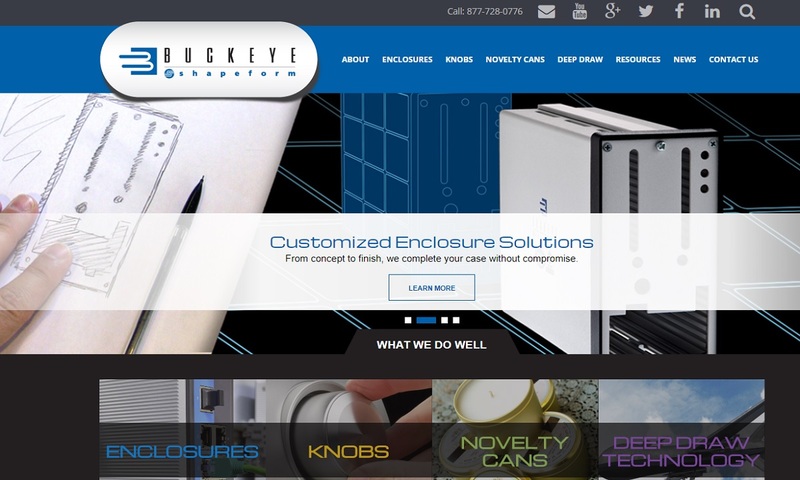 Buckeye ShapeForm manufactures electronic enclosures and electrical enclosures that take your company to the next level! Different types include desktop, handheld and rackmount. Nema Enclosures Mfg. is a leading provider of NEMA-rated electrical enclosures. Serving a wide variety of industries including chemical/petrochemical, traffic control, power generation, telecommunications, with high-quality products and services. Hubbell® Wiegmann® is your complete enclosures solution! We offer NEMA enclosures, stainless steel enclosures, JIC enclosures, non-metallic enclosures and aluminum enclosures as well as wireway systems. 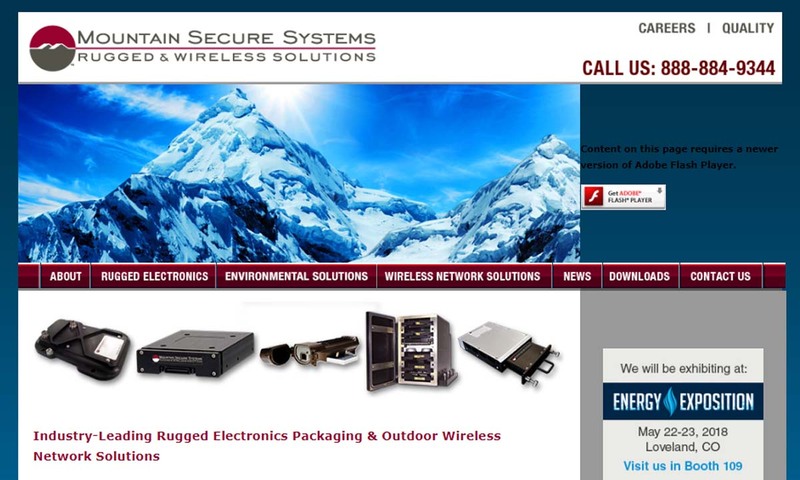 Mountain Secure Systems is a leading supplier of rugged electronics (i.e. rugged data storage solutions and sealed rugged hard drives) and legacy interface conversion solutions (converting Fibre Channel & SCSI to SATA). Engineers designed the first electronic enclosures to keep people safe from live electricity coming out of cutouts. Cutouts were switches that consisted of copper bars and an insulated T handle. To use the switch, operators would grasp and pull the T handle. The problem with the cutout, which was mounted onto its surface with bolts or screws, is that its live parts were uncovered. As we know now, live electricity wires are dangerous to humans. To combat this, manufacturers installed the cutouts with wooden cutout boxes. They did the same with switchboards, which were used for connecting phone calls from 1878 to the 1960s. Wooden enclosures were useful for a time, but eventually they too presented problems. These problems cropped up when electricity moved into the home, between the 1920s and 1930s. Homeowners found that the electrical components inside the cabinets could come loose and overheat, resulting in fires. To combat this, manufacturers switched the wooden cabinets out for cabinets made of flame retardant metals, such as steel cabinets. Today, electricity has taken us places early inventors like Tesla could have only have dreamed. Along with it have come electronic enclosures. Modern enclosures are made not only as metal electronic enclosures, but also thermoplastic enclosures made from materials that didn’t even exist when engineers started making them. In addition, they are incredibly diverse, shielding electronic devices of all shapes, sizes, and sensitivities. As technology continues to advance, enclosures will only become more important. Enclosures work by both blocking physical threats like sleet, rain, and the formation of ice, and by deterring threats from a variety of different interference types (EMI, RFI, ESD, etc.). Enclosures for handheld devices can have soft ergonomic grips and a battery door. Many enclosures simply snap together, while others use a lap joint or tongue and groove construction to create a tight seal and keep out dust and water. Still others use large panels to contain their contents. 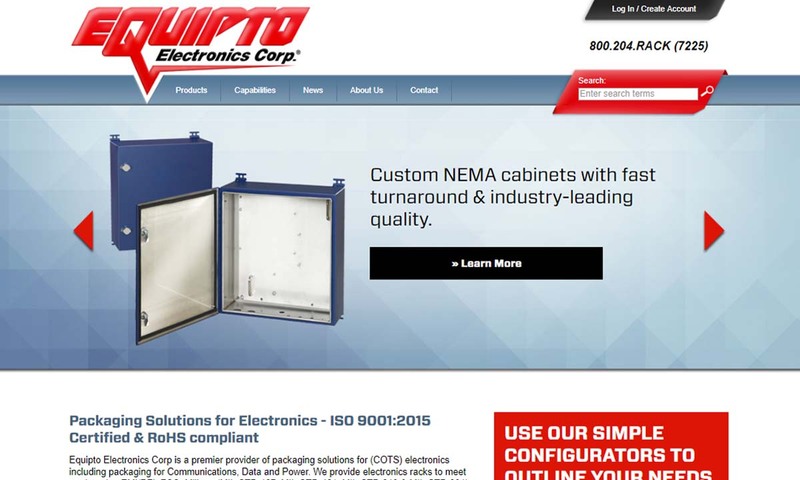 NEMA enclosures are enclosures that have been assigned a grade by the National Electronics Manufacturers Association, or NEMA. NEMA enclosures, regardless of their grade, cannot have any partially punched holes, called knockouts, or openings in general, except those designed for oil and dust-tight mechanisms/gaskets. Additionally, any hinged doors an enclosure has must only be accessible by an opening tool, and they must have an external mounting system. For a safe and properly functioning electronic enclosure, look for a NEMA certification and discuss your specifications with your supplier. Computer enclosures are enclosures designed to shield computer parts from dust, debris, and EMI. They’re typically made from steel or aluminum, with a layer of an EMI-blocking coating. Mounted enclosures are enclosures that you can mount using fasteners or self-tapping screws. To accommodate this, they come with holes in the bottom or back. They often house items like wireless connections in warehouses. Rack mount enclosures are frames with protruding edges or mounting slots, where users can mount electronics. These are common for enclosing large equipment like computer servers and audio equipment. Usually, the frame is made of aluminum or steel, while the enclosure itself is a metal enclosure, layered with reinforced plastic. Often, rack mount enclosures have panels and lockable doors. Fiberglass enclosures have all the properties of the fiberglass from which they are made, including superior electrical properties, chemical resistance, heat resistance, corrosion resistance, impact resistance, and the ability to endure high tensile loads. Because of these qualities, fiberglass enclosures are popular for use outdoors and in environments where there is a lot of moisture, chemical contact, or corrosive substances. ABS enclosures are thermoplastic enclosures made from the thermoplastic called acrylonitrile butadiene styrene, or ABS for short. ABS is an excellent electrical insulator, and it is shock absorbent, impact resistant, and lightweight. As such, it is the perfect material for handheld enclosures and enclosures of small pocket devices. Polycarbonate enclosures are well-suited to cold environments, as they are adept in blocking temperature interference. 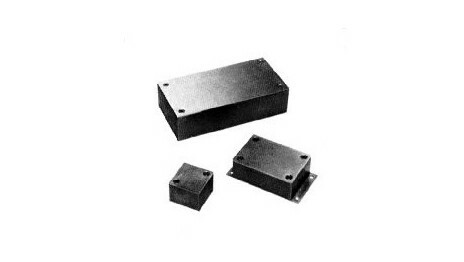 Because they can be molded, they also work well for applications requiring complex and/or small enclosures. Stainless steel enclosures are perfect for enclosures for high energy products that sometimes produce too much energy. They are also useful with products like heat exchangers. This is because they can absorb the heat of the energy and keep the components from overheating. Also, they are strong and corrosion resistant. Aluminum enclosures are strong and durable, but lightweight and castable. Manufacturers extrude aluminum or diecast aluminum in order to make them. These enclosures are also excellent conductors of electricity and heat. Aluminum enclosures are best used in moist indoor environments. To make electronic enclosures, manufacturers participate in processes like thermoplastic molding, diecasting, and extrusion. To make electronic enclosure boxes, manufacturers can use a wide variety of sheet metals and plastics. Some of the most common ones include fiberglass, stainless steel sheet, aluminum sheet, and high strength plastics like ABS and Kevlar. When selecting a material, electronic enclosure manufacturers think about their properties, such as durability, thermal insulation, thermal transfer, thermal management, corrosion resistance, vibration dampening, security, etc. Every application is different, but the right material for any given application will protect the electronic product from intrusion, heat and cold, moisture, and any environment-related risks (explosion, vibration, weight, vandalism, etc.). One of the first aspects of your application that manufacturers think about is what exactly you’re trying to protect your electronics from. Common focuses of electronic instrument enclosures include impact shielding, heat shielding, static shielding, magnetic shielding, and dirt and waterproofing. Impact shielding, or shock shielding, is all about protecting electronic components from jarring, vibration, and damage from drops, crashes, etc. Impact shielding is important because it keeps fragile electronic components from breaking or becoming inefficient. Heat shielding is important for any electrical components through which electricity passes. This is because, as currents move through equipment, they generate heat. In addition, electrical components that are susceptible to heat coming in from the outside need this type of shielding. Heat shielding keeps equipment efficient and healthy by absorbing, reflecting, or dissipating that heat. Static shielding includes external electrostatic discharge (ESD) shielding, EMI (electromagnetic interference) shielding, RF (radio frequency electromagnetic radiation) shielding, and protection from electrical surges and sudden charge changes. This type of shielding is super important to many different electronic instruments, including cell phones, cables, microwaves, lab equipment, medical equipment, computers, broadcasting systems and more. Magnetic shielding focuses on shielding materials from external magnetic forces. Magnetic shields usually work by drawing the magnetic field into themselves, so that they have somewhere to go, but they do not actually penetrate the shield. Dirt and waterproofing is a more tangible type of shielding. Shields focused on dirt and waterproofing keep electrical components safe from damage by environmental threats, like rain sleet snow varieties, dirt and dust. This type of shielding is important because it prevents malfunctions.  To get started, manufacturers must determine which one or ones apply to you. In addition to considering the things from which your enclosure must protect your electronics, manufacturers also consider degree of protection required, mounting security, your budget, and the aesthetics, or how you want your enclosure to look. Also, they think about the actual shape and size of your electronic item(s). Enclosures can be as small as a fingernail or as large as a room. Usually, manufacturers make rectangular box enclosures, but they can also make custom plastic enclosures and custom metal enclosures with unique shapes for you. They can also add locking mechanisms for security, ventilation fans for temperature regulation, custom access points, lids, lap joints for watertight seals, removable panels, access points, recessed tops for keypads or labels and much more. 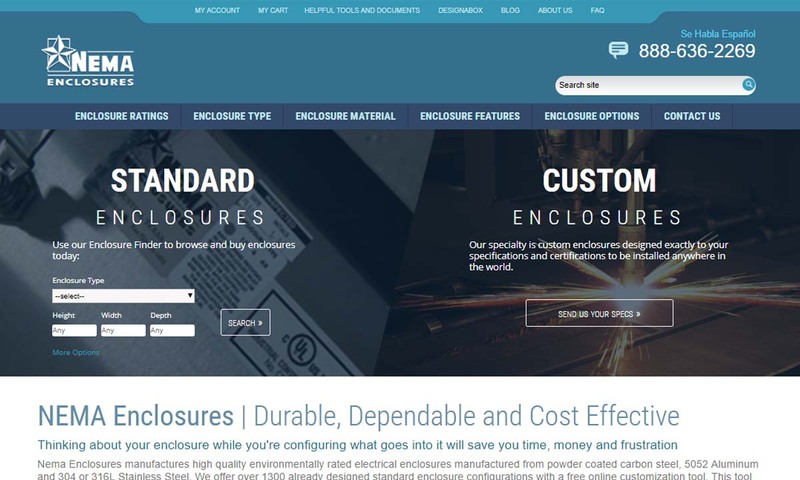 Learn what an individual electrical enclosure manufacturer can offer you by talking over your application with them. In the United States, the gold standard is NEMA type. Meanwhile, those countries that are members of the IEC (International Electrotechnical Commission) should look to IEC 60529. IEC 60529 offers enclosure classifications called IP codes, or ingress protection ratings. An enclosure NEMA type is the grade assigned to an enclosure by the National Electronic Manufacturers Association. Grades range from Type 1 to Type 13. These grades identify characteristics like whether an enclosure is meant for indoor or outdoor use, whether or not it is appropriate for hazardous or dangerous settings and from what it can protect an electronic system or wiring. It’s important to study and understand these gradings. For example, Type 1 enclosures are made for general indoor use and shielding humans from accidentally touching the enclosed equipment. You wouldn’t want to buy a Type 1 enclosure for a backyard project. Type 4X enclosures, on the other hand, may be used both indoors and outdoors. They protect the enclosed equipment from corrosion and elements like snow, rain, windblown dust, ice, and sleet. Finally, Type 12 is for industrial indoor usage to shield sensitive electrical parts from dust, dirt, lint, and dripping and seepage of non-corrosive liquids. To get the right enclosure for you, you need to partner with a high-quality manufacturer that understands your needs and puts them first. Find a manufacturer like that by checking out those we have listed on this page. Each of them has something different to offer. Figure out which one is right for you by browsing their profiles and websites, then reaching out. We recommend you pick three or four to speak with, based on their advertised services. To focus your search, you should take the time to write down your specifications, questions, and concerns. Once you’ve spoken with each manufacturer you’re interested in, compare and contrast your conversations. Consider the services they offered, their price tag, and their secondary services like post-delivery support, and choose the best one for you. Good luck!